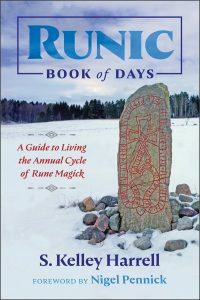 Algiz is the half-month stave through 13 February. Ehwaz is the intuitive stave, and Gebo indicates the Nature’s message to us. Read right to left is Algiz, Ehwaz, then Gebo. We begin this week with the mid-winter sabbat in the north, specifically at 10:14 EST, 3 February. Most of the north is coming out of a severe polar vortex, which serves as further affirmation that the way we experience our seasons in relation to where the wheel of the year historically says we are isn’t the same for everyone. Algiz is the rune of protection attained through deep Nature observation, engagement, and direct relationship. I talked in episode 51 of What in the Wyrd about how we accomplish such relationships with Nature. On its own, Algiz suggests we take stock of our Nature relationships, and be prepared to make necessary changes. What needs to change may not be evident until we have more light–closer to the next sabbat. The framing runes for this week give deep insight into another way to do that, at least under the auspicious alignments of this season. Ehwaz is the rune of taking things to their most animistic level. Meaning “horse,” it evokes all sensory response around the animal itself, its importance to the Old Norse culture as the human fylgja, and Odin’s eight-legged steed, Sleipnir, who carried him through his World Tree ordeal. 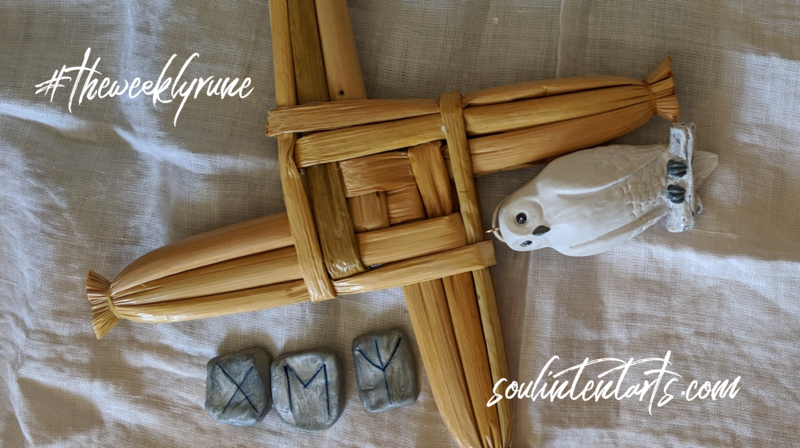 When we sit with the significance of the horse in a runic context, Ehwaz takes that animistic component of Algiz and deepens it to not just a spiritual level, but a transcended transpersonal level. It requires us not to just connect with our natural surroundings and be present in them, but to understand our otherworldly connections to them, and tend those, as well. It requires us to become them. To see no division. Gebo as the voice of the Futhark affirms that support comes from our efforts to go deeper with Algiz, this week. In fact, it may be beneficial to enlist the help of a trusted someone to do this work together. We don’t all have the same journey or outcome, though we all do best with it in community. So often the challenges the runes raise for us seem simplistic, straightforward in understanding. Yet doing them, letting them move through our lives and allowing the changes they can bring are another story entirely. I often tell my students and clients, learning the techniques of a modality or system are one thing. Coping with how they change our lives for the longhaul is where a mentor and community are invaluable. Such is the partnership that Gebo brings and often requires. Such is the most optimific outcome for this week.